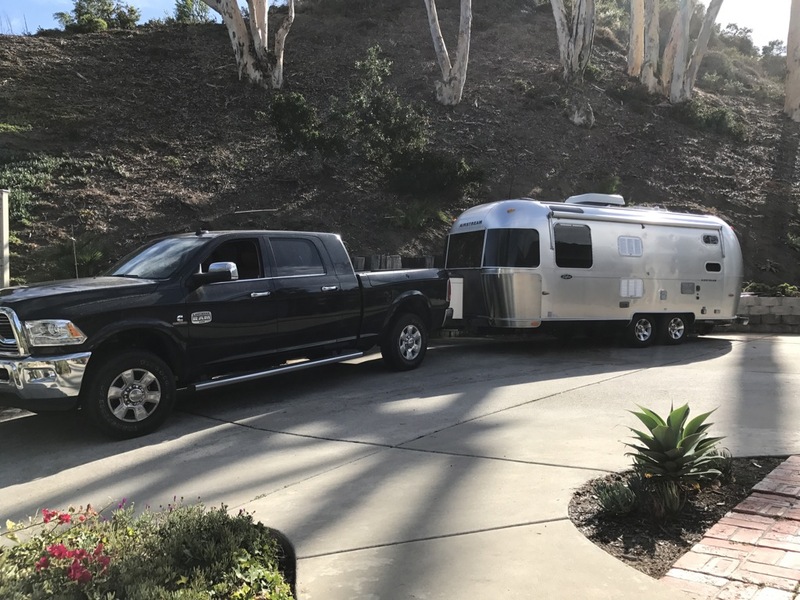 San Diego region has year-round camping opportunities, excellent weather, and wonderful places to visit and, when coming here to do both, it’s good and more enjoyable to have a plan, a two-part plan. 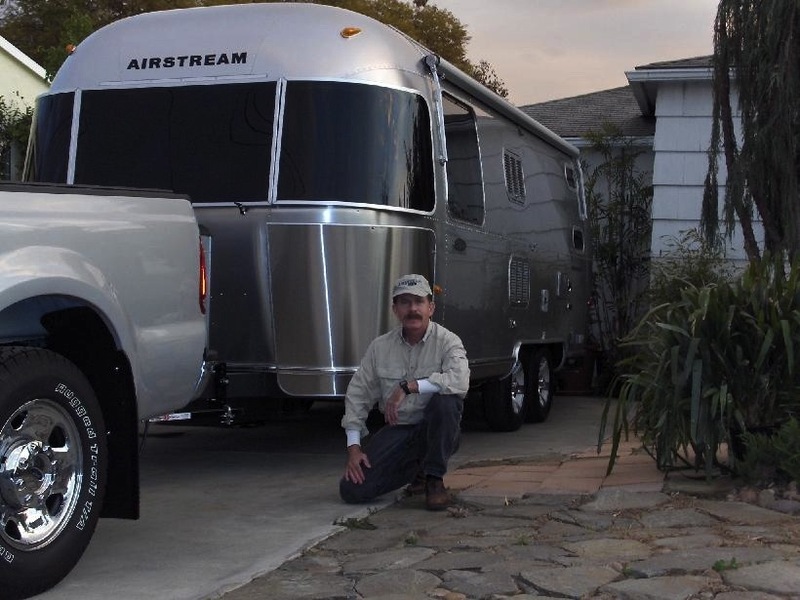 Over the past eight years, we’ve enjoyed taking our Airstream Safari to our favorite San Diego beach, mountain, and desert camping spots, and while there, we frequently meet people new to the area who are interested in learning more about places to visit in the San Diego metropolitan area and where to stay while visiting friends and places there. 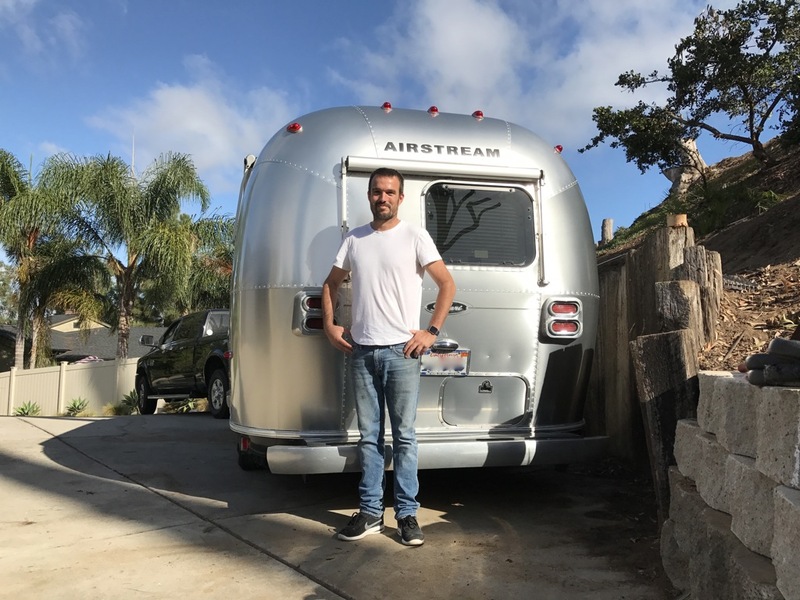 The first part of this suggested plan is to see the many attractions in the metropolitan San Diego area first, while staying at a nearby, local campground. 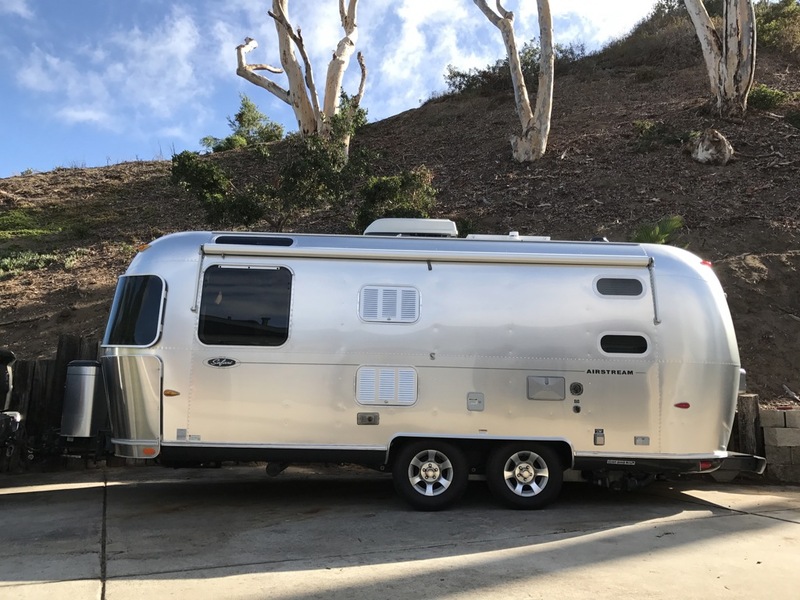 The second part is to move to your ideal camping location away from the city, where you can enjoy hiking, swimming or relaxing at a beachside, mountain, or desert campground, depending on the season. 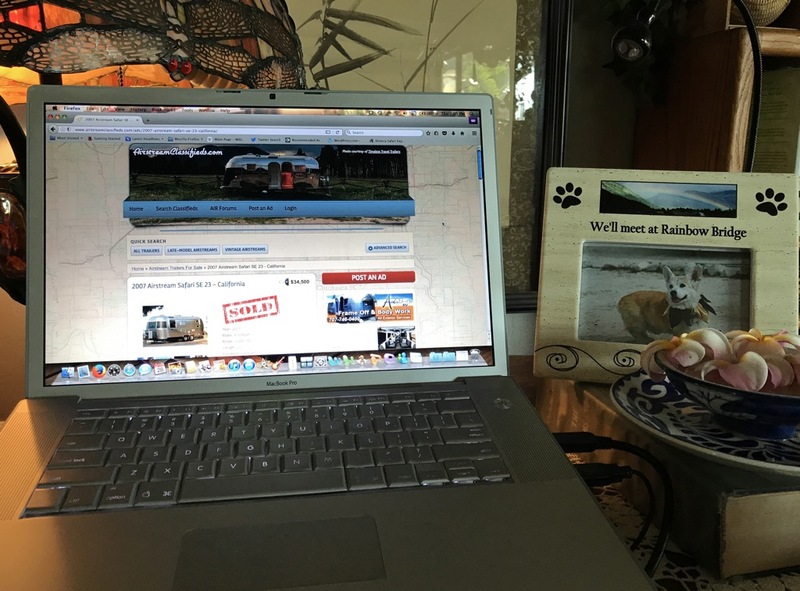 To get your best camping locations and sites, it’s best to make your reservations as early as possible. 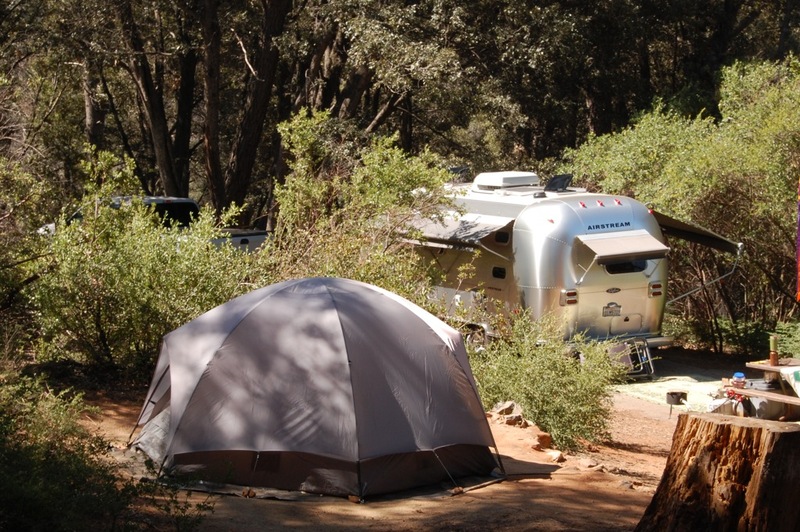 San Diego County’s Sweetwater Summit Regional Park is a good starting point because it is only 10 miles southeast of downtown San Diego and has 112 campsites and its Summit Campground has 63 new sites with full hookups. 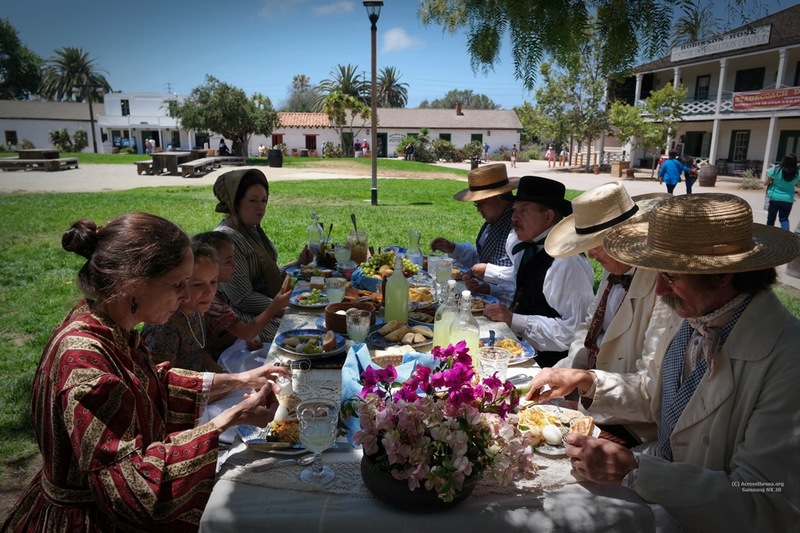 * San Diego County Parks have a new look and feel. 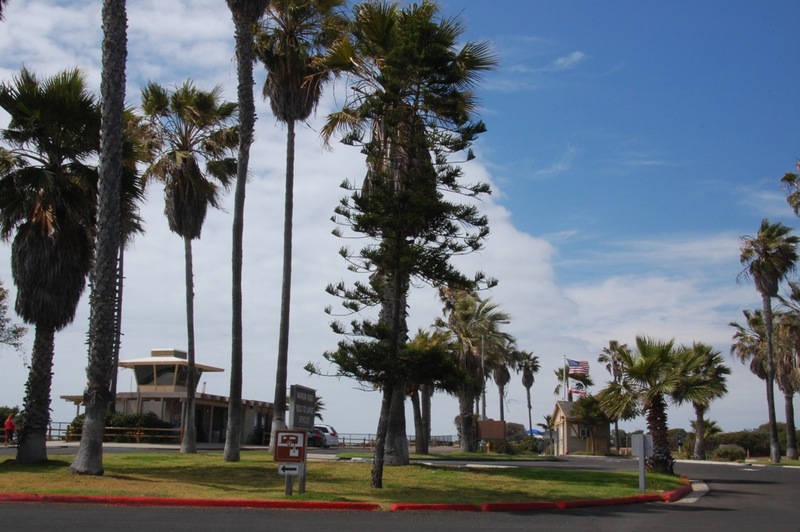 * The main advantage of this campground is that it’s just 20-25 minutes away from many local attractions such as the beaches, Gaslamp Quarter, San Diego Zoo, Balboa Park, Sea Port Village, and Old Town. 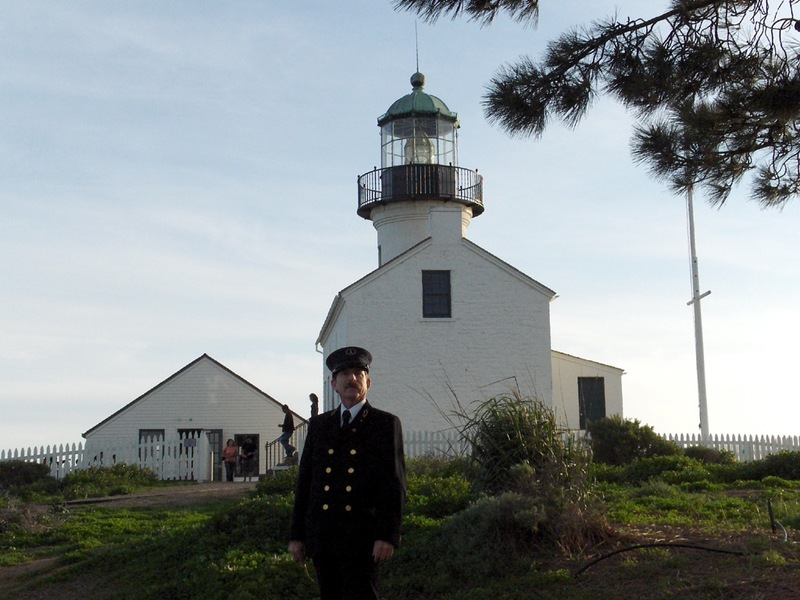 Visit Cabrillo National Monument* with its Old Point Loma Lighthouse, hiking trails and tide pools. 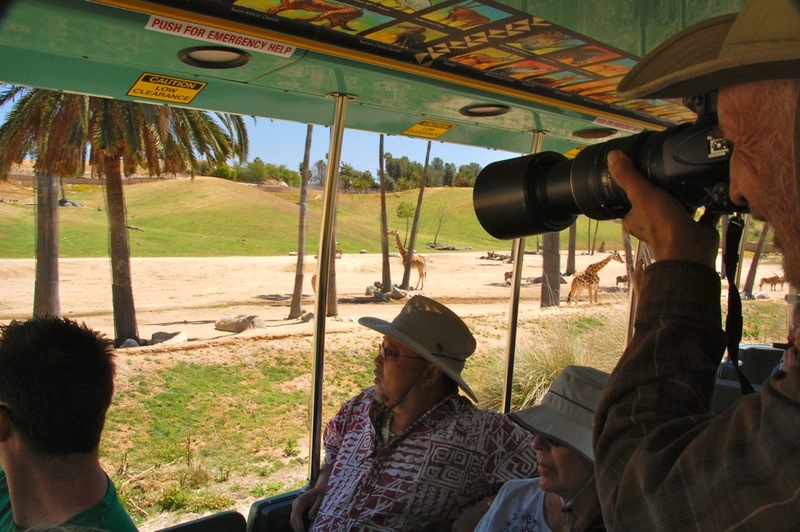 Or take a 45-minute drive north to explore San Diego Zoo Safari Park* (formerly named San Diego Wild Animal Park). 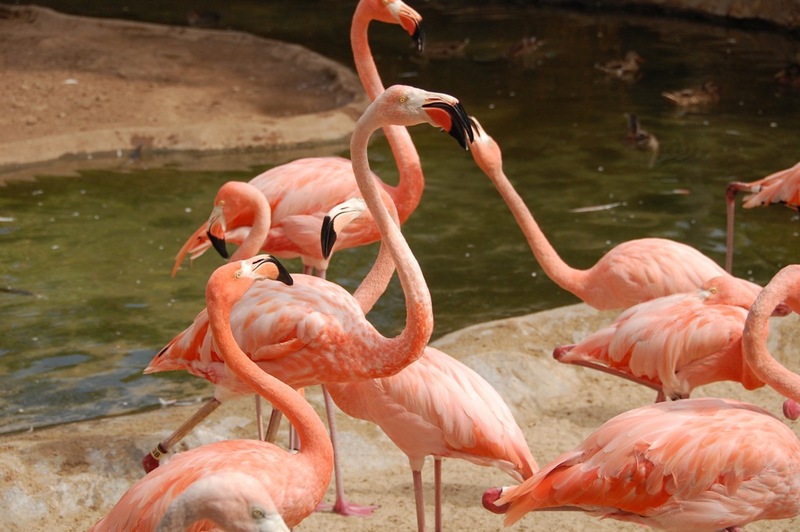 After visiting the local San Diego attractions, you can then move to your preferred beach, mountain, or desert campground that you reserved ahead of time. 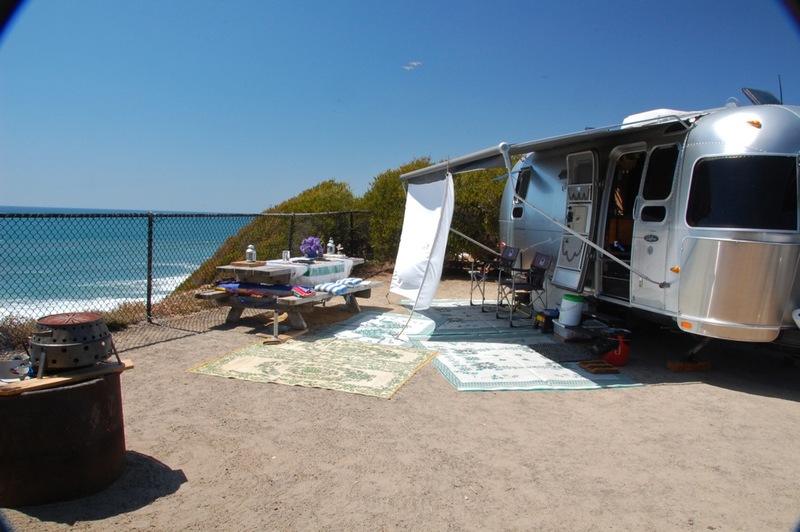 During the summer, the coolest place to enjoy camping is one of our California State beach campgrounds, such as South Carlsbad State Beach. 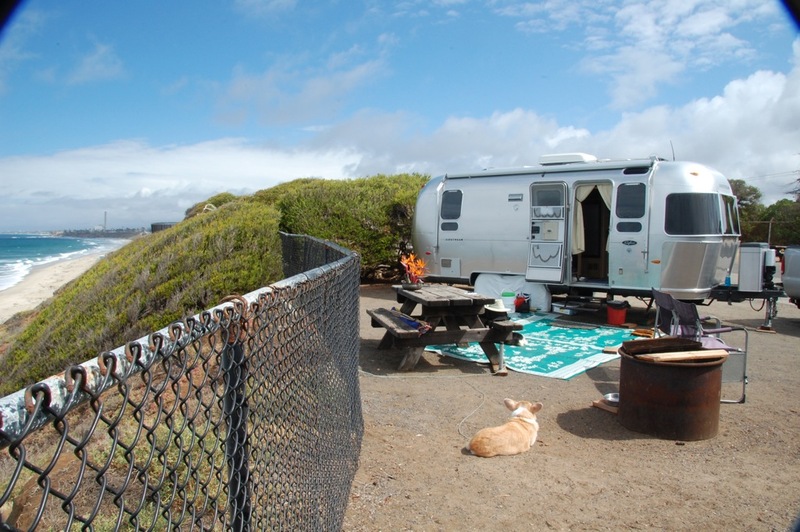 It is very popular and reservations for beachside camping often need to be made months in advance. 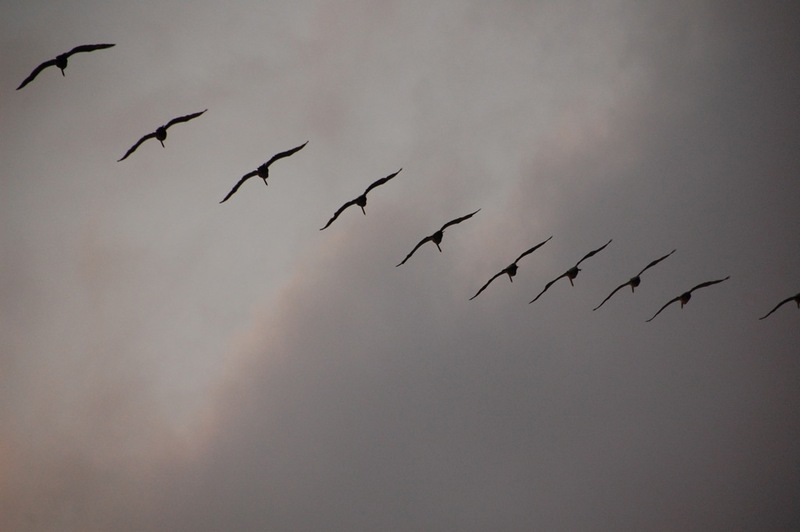 Our favorite time to go is in May before the summer crowds. 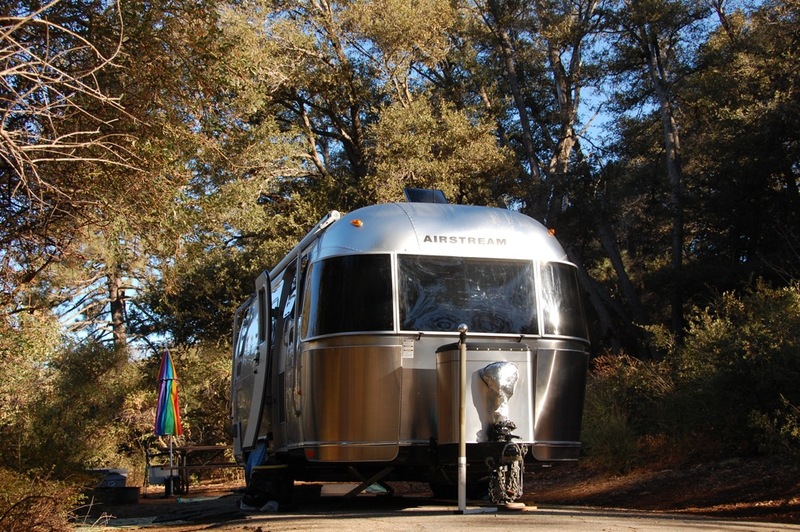 Our favorite fall and spring campground is William Heise County Park in the mountains near Julian, California. 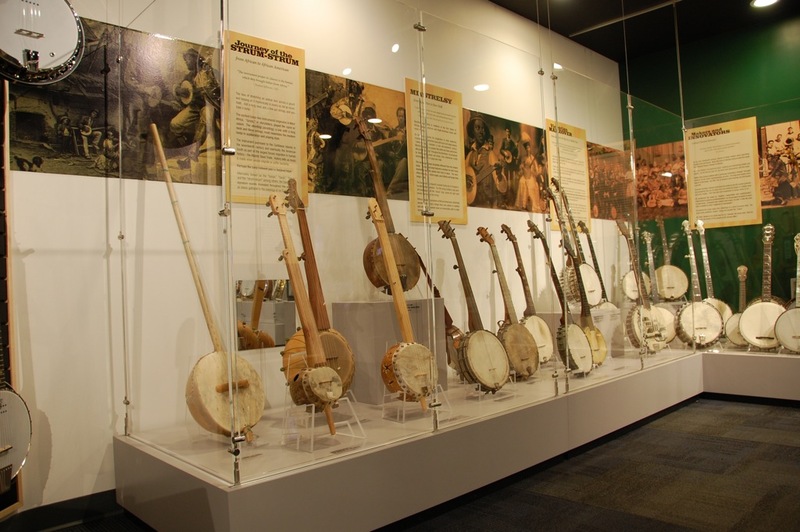 We prefer the wooded, non-hookup sites in Area 2. Dogs on a leash are permitted on the scenic trails. 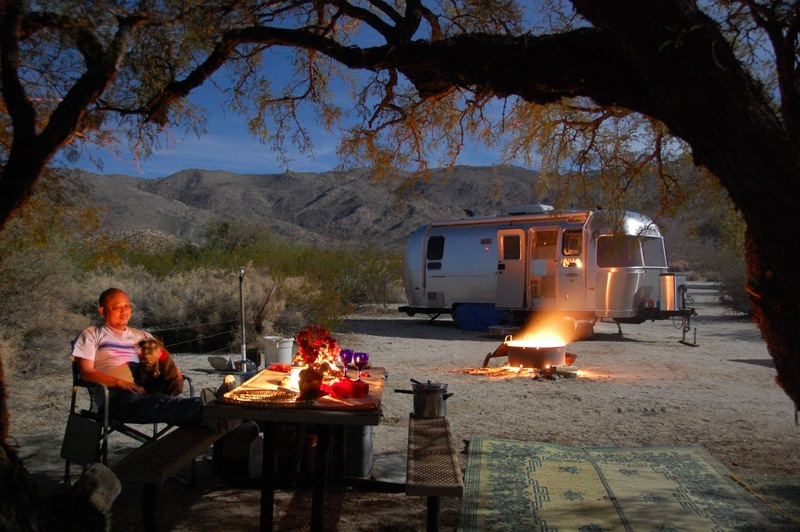 The desert is a great place to camp during the late fall, winter and early spring months. 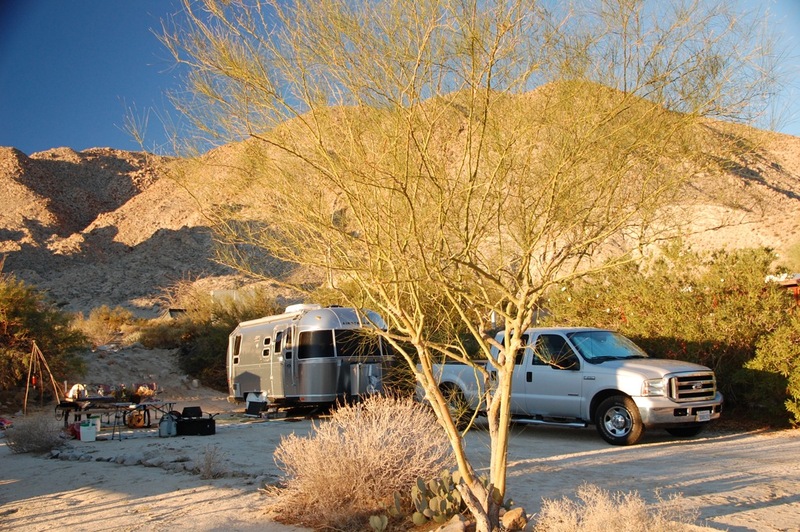 Anza-Borrego Desert State Park* is popular because of the resources of the nearby town of Borrego Springs. 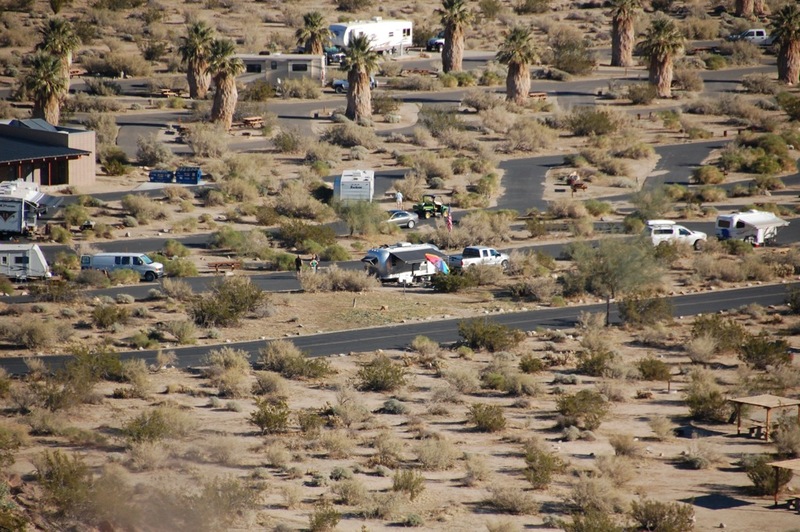 Our favorite desert campground is Agua Caliente County Park because there is less traffic and it is not so crowded, especially during the weekdays. 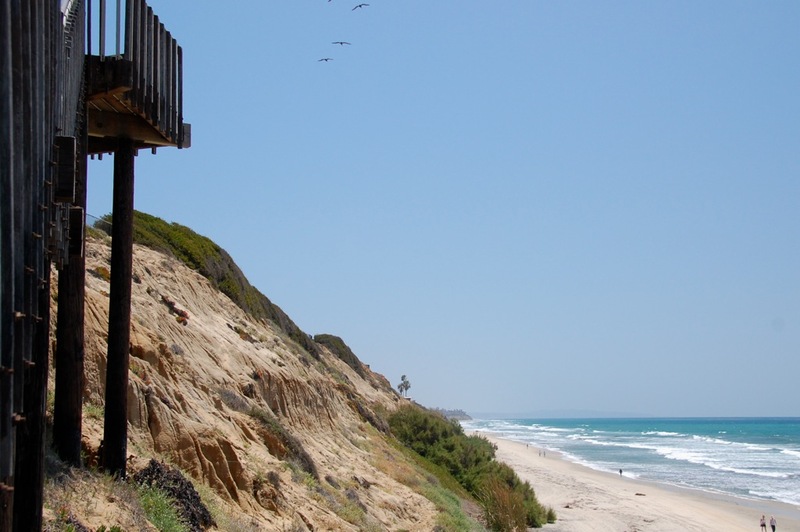 It has a therapeutic spa and pools, but dogs are not allowed on trails. 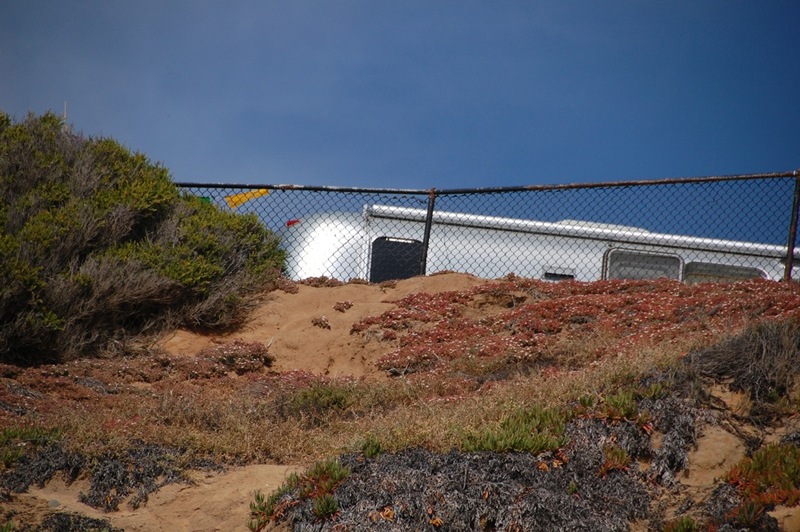 For the past eight years, we’ve rounded out our camping season by unhitching our Airstream Safari trailer on the bluffs of South Carlsbad State Beach. 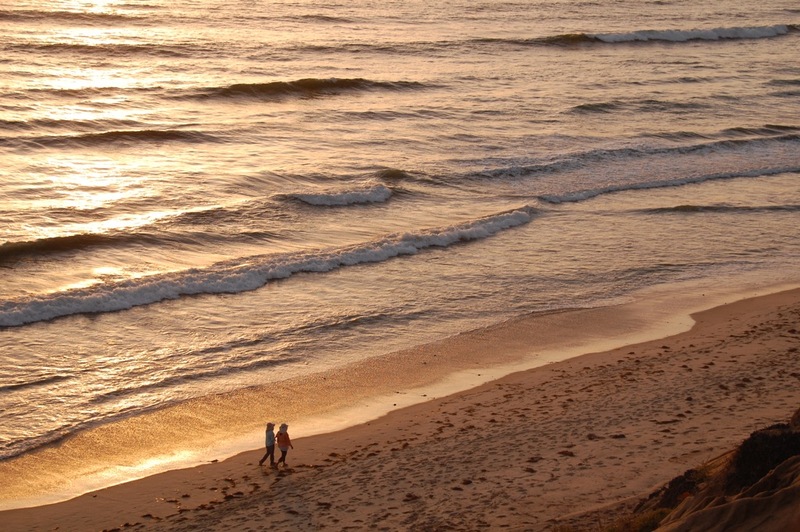 Reservations for the popular beach side campsites need to be made up to 6 months in advance. Our favorite site has windblown bushes (Melaleuca nesophila) that provide privacy, but California’s drought is now having an impact on them. 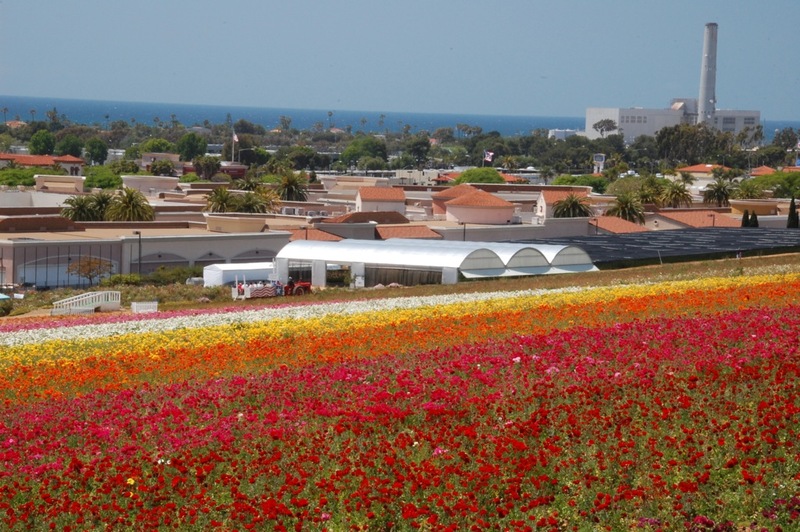 A ranger told me that the park is now limiting watering to three times per week and will be replacing the turf with drought tolerant plants. 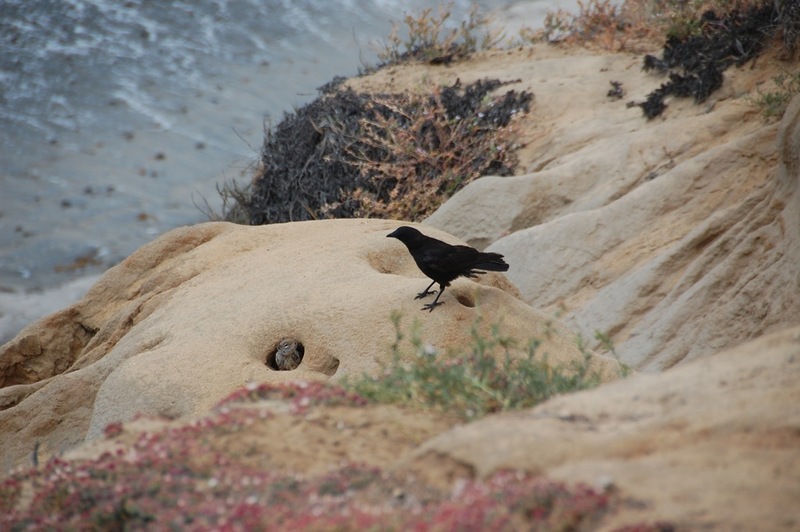 Each year we enjoy listening to the continuous sound of the surf* and watching the shore birds soar by on the updraft of the sea breeze along the bluffs. 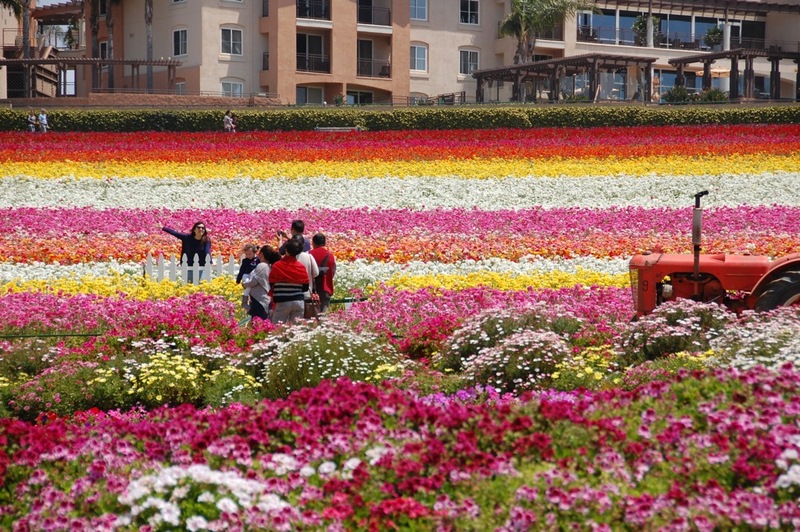 Nearby is The Flower Fields* 50-acre garden on the Carlsbad Ranch, featuring Giant Tecolote Ranuculus blooms* 10 weeks each spring sustained by reclaimed water from the City of Carlsbad and a drip irrigation system. 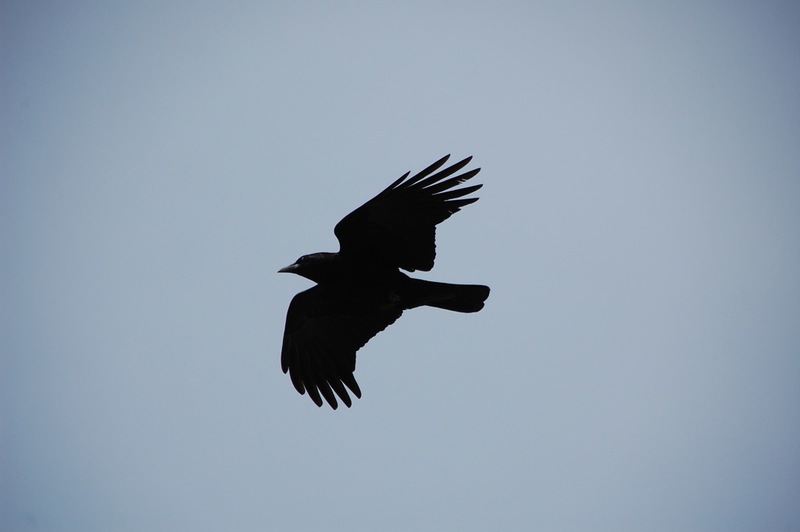 On this trip I did a photo shoot of a crow dive-bombing a squirrel hole in an attempt to capture young squirrels (See the dramatic photos and story in my post, “A crow and squirrel interlude,” History Safari Expresso). 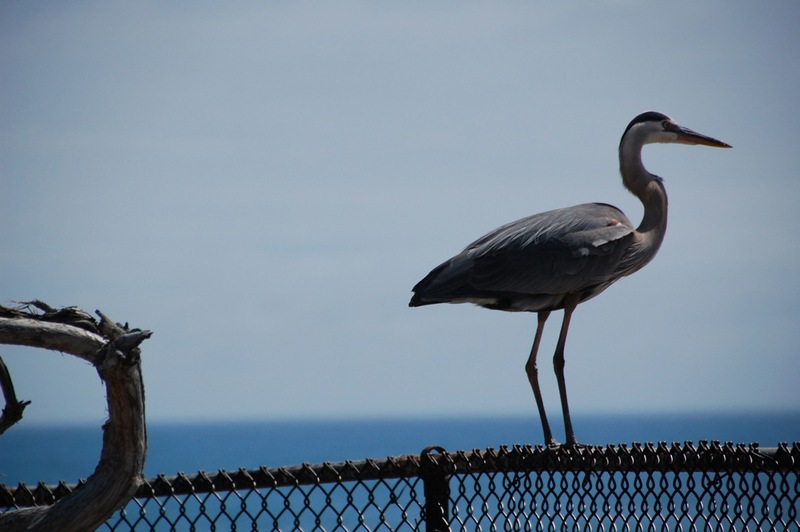 I was also lucky to have the camera ready when a Great blue heron landed on our campsite fence. 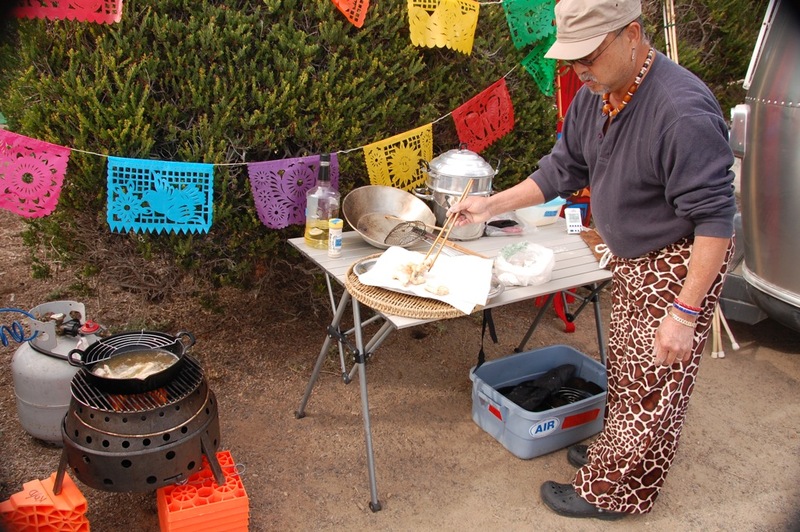 We decorated our outdoor camp kitchen with papel picado for celebrating Cinco de Mayo. 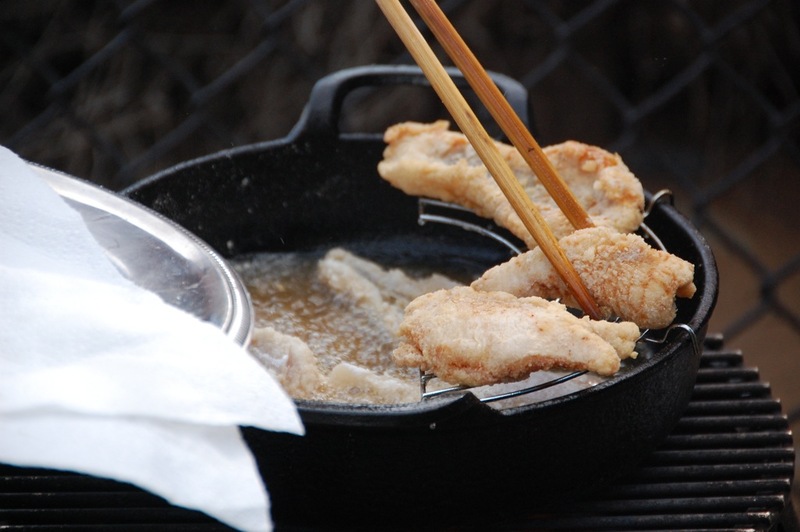 * Larry deep fried catfish. 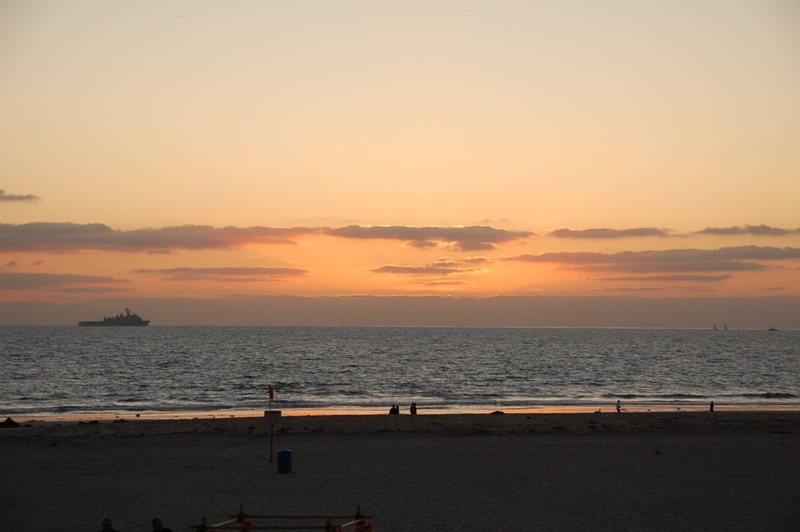 The last time we ate catfish by the sea, we enjoyed beautiful, glowing sunsets. 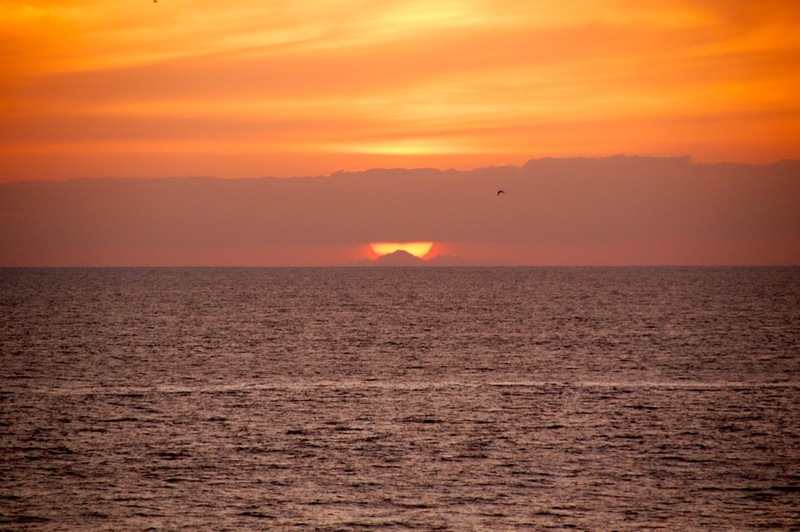 This time the sun silhouetted San Clemente Island. 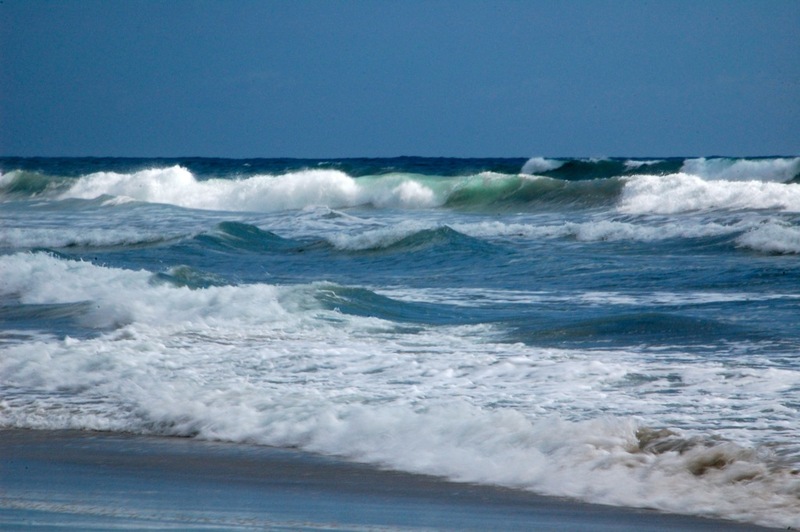 The ocean is a wonderful place to contemplate the mysteries and celebrations of life, as seen in my post, “Ocean gleanings,” History Safari Expresso. 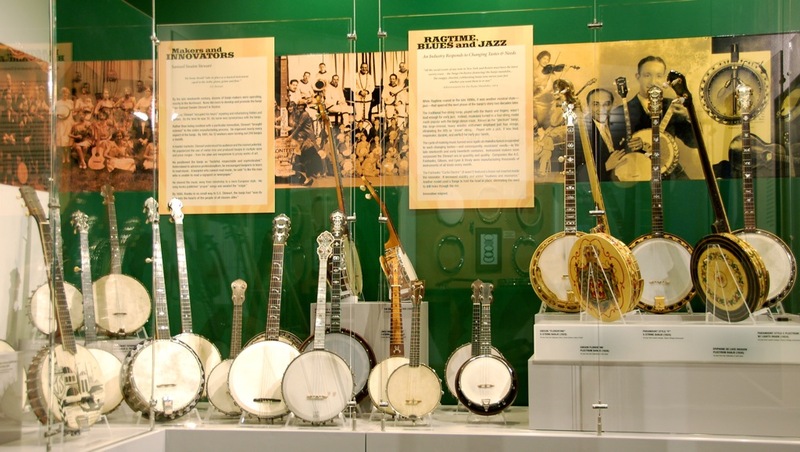 I cautiously passed the windmill facing the ocean, which I had originally and mistakenly perceived to be a giant with waving arms,* and sallied forth to find the museum housing musical instruments that are close to my heart, such as the lute. 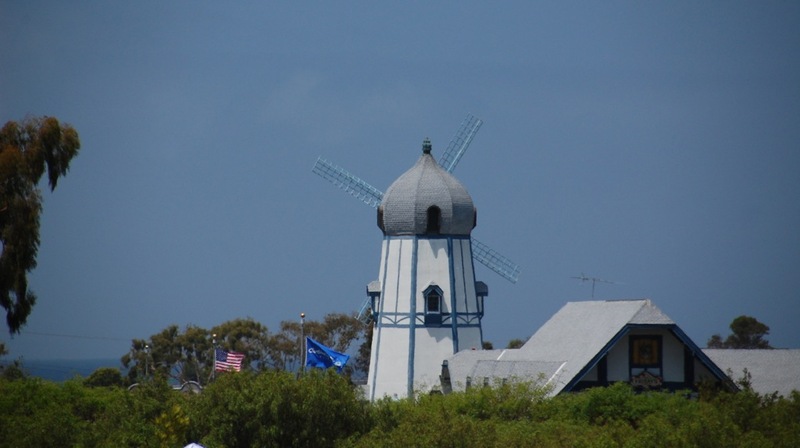 While venturing eastward, I came upon a lovely field of flowers (The Flower Fields® at Carlsbad Ranch)* with a beautiful damsel (Dulcinea? 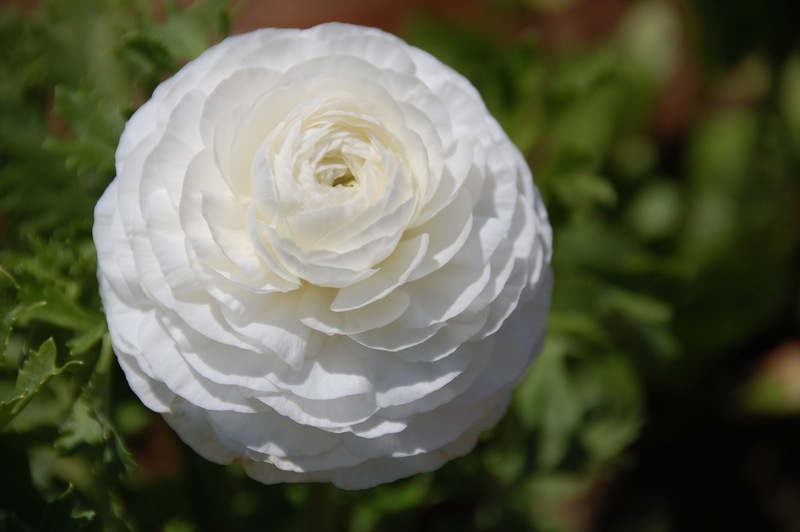 )* in the middle beckoning visitors to enjoy the splendor of ten million Ranunculus flowers. 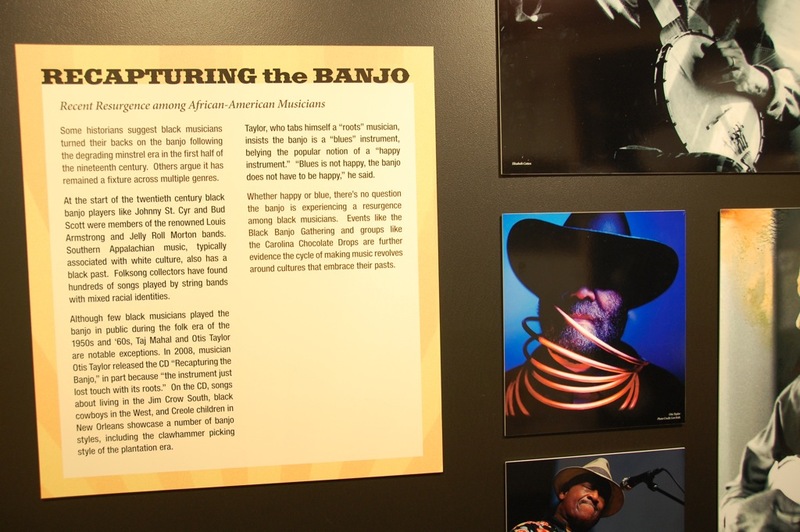 The banjo’s roots are thought to go back to West Africa, where hide-covered gourd folk lutes, such as the akonting, were plucked. 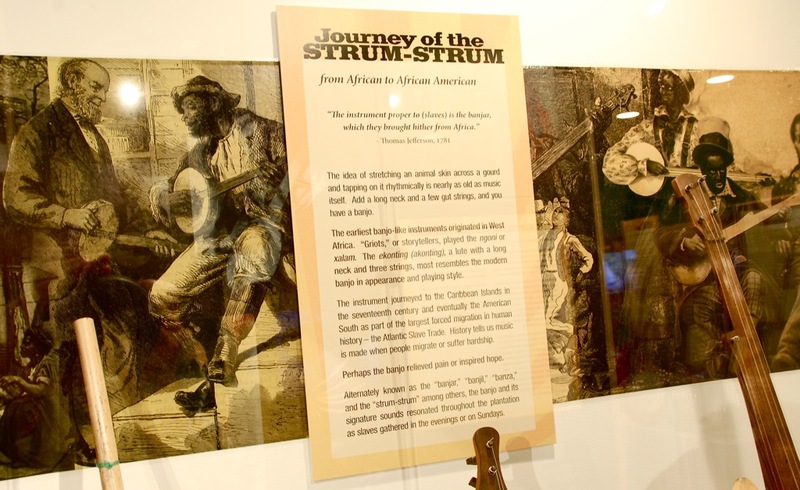 * The concept was transported to Colonial America by Africans via the Atlantic slave trade. 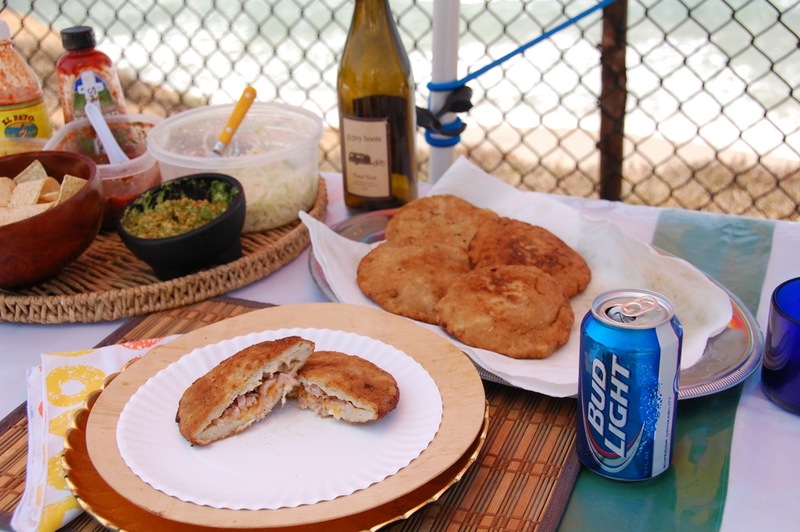 Back at camp, Larry prepared lunch featuring pupusas, a traditional Salvadoran dish, fried masa pies filled with ham and cheese. 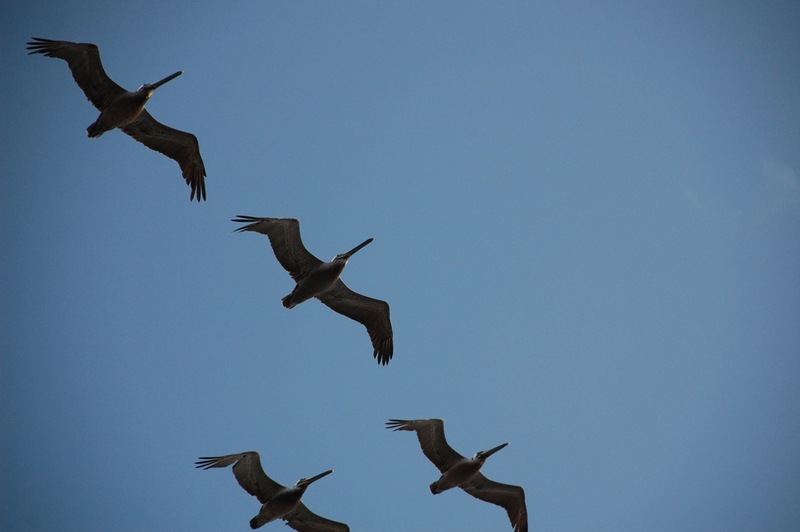 California brown pelicans also seem right at home in this kingdom by the sea. 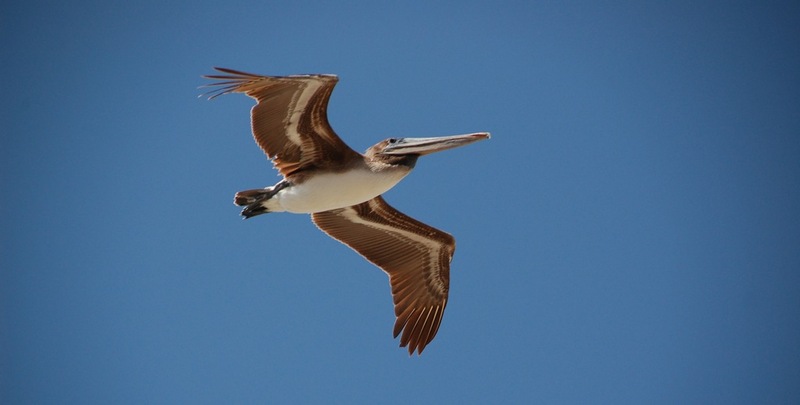 But a recent brown pelican population survey led by UC Davis professor emeritus and wildlife biologist Dan Anderson found a drastic decline in nesting pairs, which may be due to changes in ocean temperature and shifts in the pelicans’ food supply. 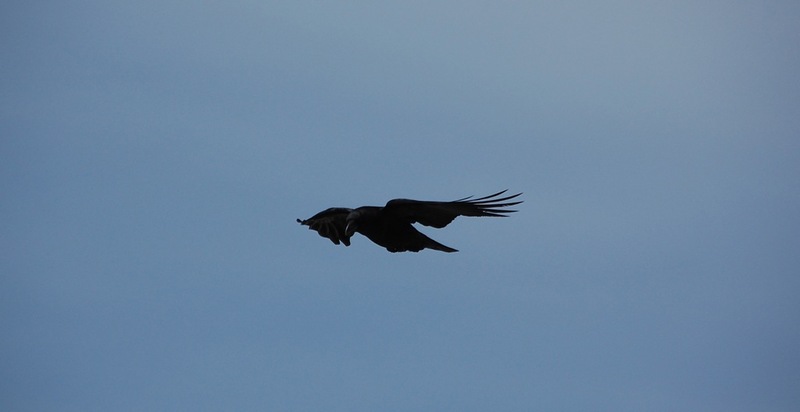 Watching this pelican ballet in the sky was mesmerizing, but by noon, it was time to take my usual midday shower in the campground’s facilities. 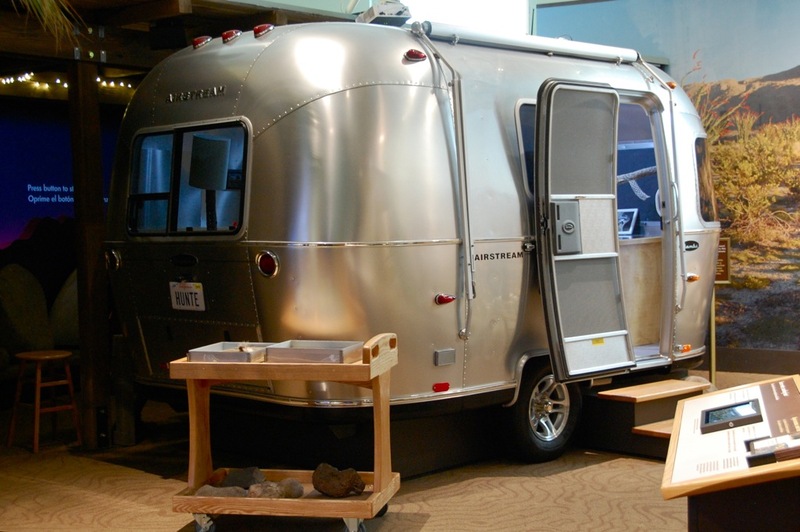 (We are very frugal with the use of water and electricity in the trailer. By the fifth day of non-hookup camping, our 30-gallon freshwater tank is typically half full, which means we typically use 3 gallons/day!) 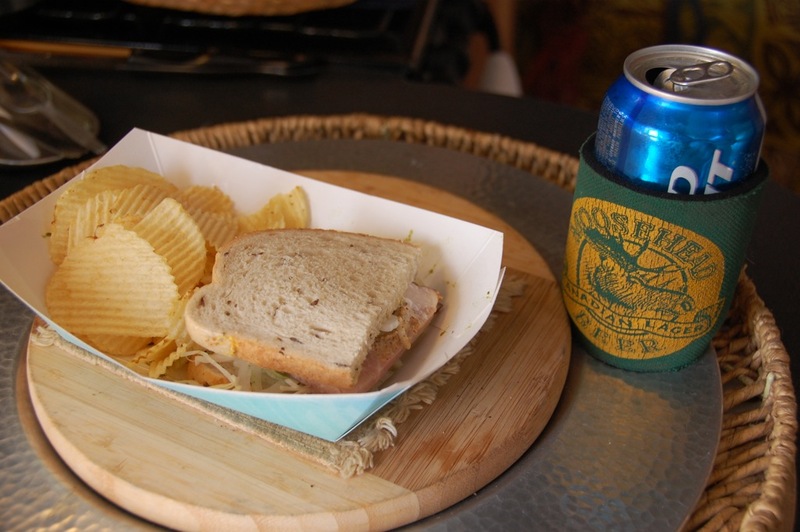 After showers, I always look forward to eating a sandwich made by Larry and then catching up on notes and reading. 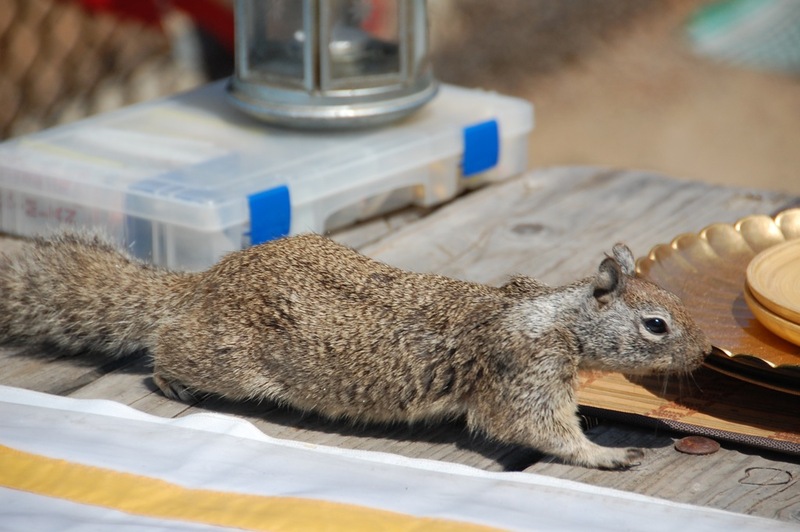 While eating my lunch, a squirrel tried to claw its way into a bag of potato chips!